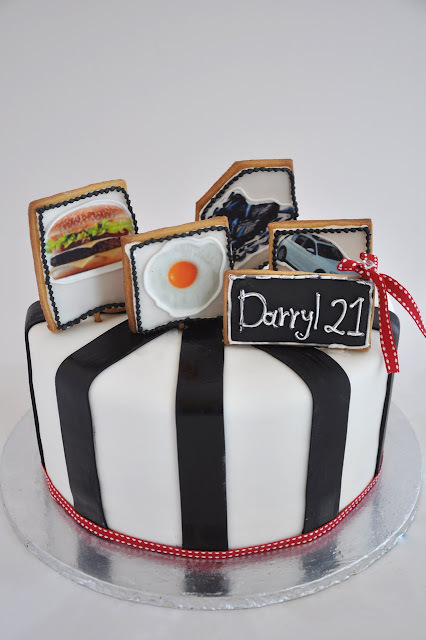 We love this cake for a guy! These are our new personalised birthday biscuit cakes. Darryl's favorite things to eat is hamburgers and eggs and he loves is BMW and rollerblades! This cake was for a 21st birthday party at Durbanville Hills, Cape Town.